Jennifer Mandelblatt chooses Hannah Stenoien (‘20), Kari-Anne Jensen (‘22), and Sadie Anderson (‘19) to be senators for the lobbying excercise. On March 12, the Luther chapter of Platform held a political advocacy workshop during their second meeting of the semester. Platform recently became an official Luther student organization at the beginning of the spring semester, creating a chapter at Luther that stems from the national Platform organization. 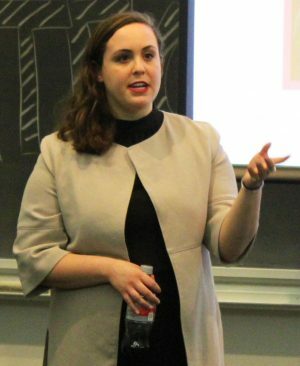 Platform is a group that holds meetings to discuss the problems affecting women in politics and how women can become politically active to effect change. Mareda Smith (‘19) introduces Jennifer Mandelblatt. The workshop was conducted by co-founder and executive director of Platform Jennifer Mandelblatt who flew in from Washington D.C. to lead it. Co-founder of Luther’s Platform chapter Anna Phearman (‘19) met Mandelblatt while studying in Washington D.C. during the fall of 2017. 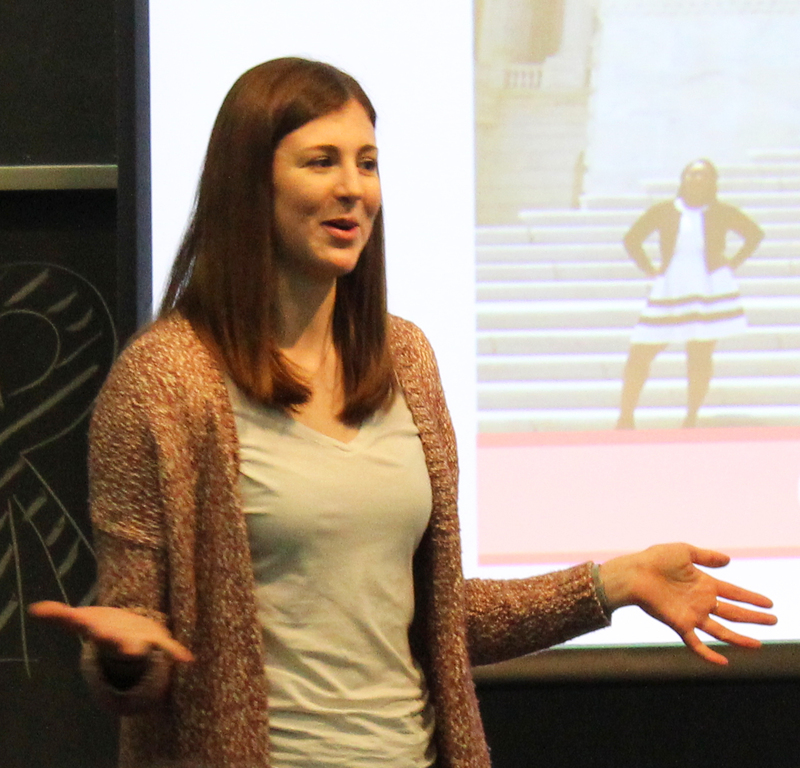 Mandelblatt came to Luther during the spring of 2018 to speak about Platform and effective activism which influenced Phearman, Mareda Smith (‘19), and Stephanie Kletscher (‘19) to start their own chapter of Platform at Luther. Jenny Hickey (‘19) engages in discussion in with the audience. The national organization Platform provides a monthly policy debate pack to students that guides discussions on certain issues. Jennifer Mandelblatt leads the advocacy workshop. 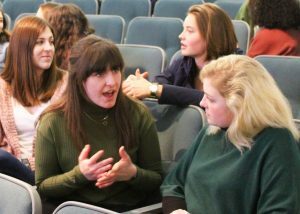 At the advocacy workshop, Mandelblatt explained the steps of lobbying to students and then encouraged attendees to discuss and act out each step. During this exercise, three attendees were randomly selected to play the roles of senators while the rest of the attendees were divided into two groups. To practice lobbying, one group lobbied for Valentine’s Day to be an official holiday while the other lobbied for Halloween. Peilla Ishimwe (‘21) said the workshop made her think about how she could apply lobbying skills to address some situations back in her home country of Burundi. Attendees said the workshop gave them more insight of how a career in the political landscape could look. Emma Hennek (‘22) attends Platform meetings because they heighten her interest in politics. 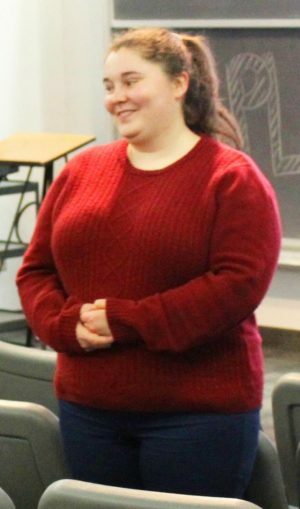 Education and Project Coordinator Jenny Hickey (‘19) talks about how the organization seeks to address issues that matter to Luther students. The student organization is looking into collaborating with PRIDE, Black Student Union, and Norse Against Sexual Assault. Although it is a new organization, the executive board of Luther Platform collaborated with a few student groups to recognize International Women’s Day on March 8. To celebrate, the organization had a photo campaign where students wrote empowering quotes about women on whiteboards and posed for photos with those whiteboards. Kari-Anne Jensen (‘22) acts as a senator during an excercise. Luther Platform meets twice a month on Tuesdays. Students can find information about Platform’s events on their Facebook page and attend campus meetings to get involved.